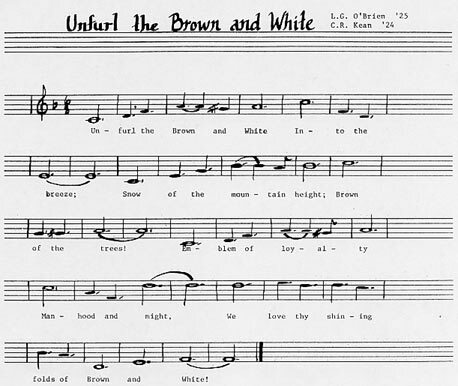 "Unfurl the Brown and White"
Fill the sky with a throaty cheer--Rah! To play an mp3 file of the 1958 Centennial recording by the SBU Marching Band click here (900K). Right-click to download. To play an mp3 file of the 1958 Centennial recording by the SBU Men's Chorus click here (1.5Meg). Right-click to download. Bonaventure, Bonaventure, Rah, Rah, Rah! Bonaventure, Bonaventure, Hah, Hah, Hah! Team, Team, You're All Right! He's a Man! Who's a Man? We've gotta Team that fights like... St. Booonas! 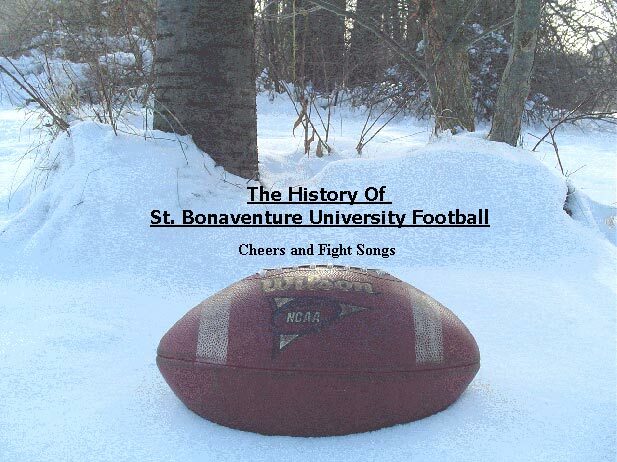 Recordings from: 100th Anniversary St. Bonaventure University. RCA Victor. 47M-2671A.